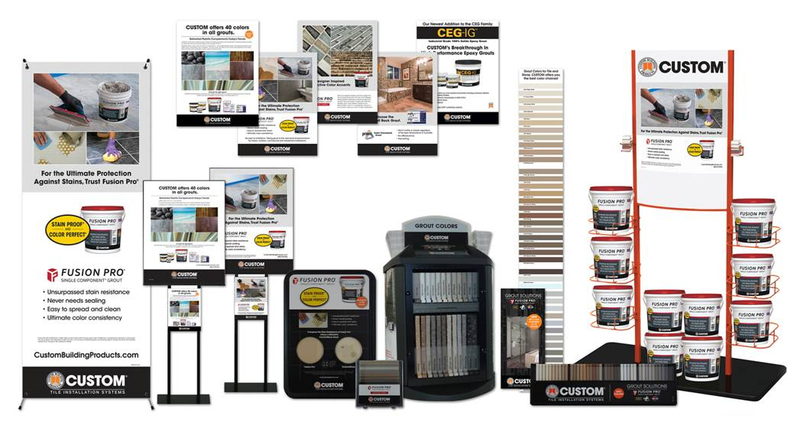 CUSTOM supplies its dealers and distributors with an array of marketing supplies and materials including grout color selectors, brochures and ins-store merchandising. To learn about becoming a dealer or distributor contact your Custom Building Products territory manager. To find a representative near you call 800-272-8786.